In the aftermath of the legal intern uneventful sexual harassment issue, National University of Juridical Sciences (NUJS) declared all students should immediately inform the institution if they are sexually harassed while interning. The university said it will forward the complaint of the accused to the employer concerned for action. The vice-chancellor of NUJS Prof. Ishwara Bhat assured that if no suitable action is taken by the employer after the intimidation of such information, the university would take required stepping towards it. This was proclaimed by Bhat announced in due course of the convocation speech. He said that NUJS had finalised its guidelines for the protection of interns from sexual harassment. The vice-chancellor stated, “The guidelines are ready and we are in the process of circulating them among the members of our academic council. We will post the guidelines on our website soon,”. An NUJS intern who graduated last year had alleged that she was sexually harassed by retired Supreme Court judge Asok Kumar Ganguly during her internship under him. A legal intern, student of NUJS, alleged retired Supreme Court judge Asok Kumar Ganguly of sexual harassment during her tenure of internship under the said judge. In the background of this event, Ganguly resigned as a guest lecturer of NUJS as well as the chairman of the West Bengal Human Rights Commission. Few days later, another former NUJS pupil alleged another retired Supreme Court judge of sexual coercion. After the complaints, there was an announcement by NUJS in which it said rules would be drafted to secure interns facing problems during their internship. “The university would take adequate measures to maintain the confidentiality of the complainants”, said an NUJS official, member of the team which drafted the guidelines. NUJS said all complaints will be heard by it irrespective of whether the internship was arranged by NUJS or the student was working on his or her own. When a complaint will be received, the university will first examine it and, if it finds the significant allegations, it will forward it to the employer. “If the employer does not react or delays taking action against the accused, the university will take appropriate measures to help the intern,” said an official. 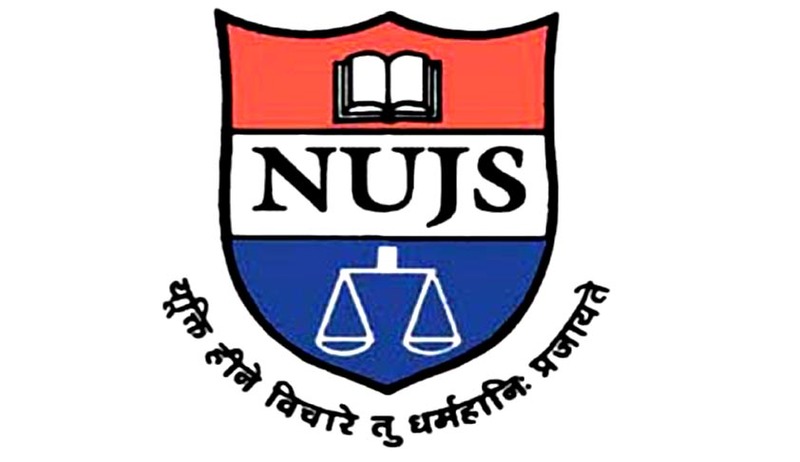 In furtherance to the framed guidelines, NUJS also professed of conducting counselling sessions to sensitise them about the steps they should take if they are harassed and encourage them to lodge complaints as law students are usually apprehensive of complaining against harassment by seniors. The sessions will be conducted in accordance with the provisions of the Sexual Harassment of Women at Workplace (Prevention, Prohibition and Redressal) Act, which says it is mandatory for every organisation to have a sexual harassment cell for its employees. “We will appeal to every organisation, including NGOs, law firms, corporate houses and courts, where our students go for internship to take appropriate measures to prevent harassment,” the official said. NUJS notified to seek information from all the establishments where its students will be interning on the basis adopted by them to ensure that their students are not sexually harassed.